Sometimes cold things can bring such warmth. One of those things is ice-cream! We carried out a design research for one of the major ice-cream brands in the region. Our target group was the youth as it was getting left out of the loop and going to other players. The research was done using very unique methods that we developed especially for this research. These methods helped a lot in bringing out hidden insights from the minds of the youth, which today forms a major part of the population. One does not just eat ice-cream, people relish ice-creams. The entire experience is an involving one. In this region, where ice-cream is the desert of the choice, it becomes an everyday experience. Thus, creating delight and breaking the monotony is more difficult. We found out from out research that the ice-cream brand had mixed up the family category with the youth. There were not many options left for them. The youth always imagined a sundae as the ice-cream of their choice. The communication of the brand and items on the menu was such that the youth were unaware their offerings. Unidentified needs of the youth: The youth wanted more peppy, slightly more private place where they see mostly people of their age group. People just donâ€™t buy products, they buy aspirations. And this aspirations was not being communicated to the youth, inspite of their presence. Communication disparity: The colors of the visual identity of the brand were the least relatable colors with ice-creams by the youth. The visuals in the ice-cream parlours, their placement and colors should be made for the youth. Brand: The brand had a high-recall value and an immediate relation with ice-creams in the minds of the consumer. Yet, the competitors were doing better because of customization of their products and services to the youth. Phase 1 : We started our primary research by observing the ice-creaming eating behaviour of people, followed by how talking to them about they feel about it. We realized that amongst youth eating ice-cream is a time of bonding between friends, even when its during a break or free-time. Also when eating an ice-cream most of them strongly connected it to childhood. Ice-cream involves them, takes them away from the world for sometime by melting them and their thoughts as it slips down their throat. Ice-cream also has strong associations with fun and being young. 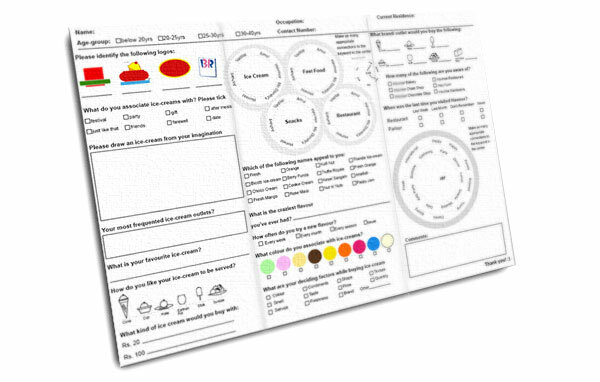 Phase 2: Taking the idea of childhood further, we created a questionnaire akin to fun learning books that kids learn from, where not only they have to write but also draw shapes, connect things, solve small puzzles. Some of the things that were involved were drawing an ice cream from their imagination, guess the right name of the brands, choose favourite colors, joint the dots, connect the most appropriate combinations.Â We supplied the users with a lot of colouring pens and watched them become involved in it, just like they did while eating ice-creams. People eat ice-creams just for the sake of fun and children like to color just because it’s fun. This fun-sheet checked the behaviour of the user. We interviewed the users afterwards. This technique of drawing the ice-cream was a strong tool to look into the sub-conscious of the people. It was a forced direct metaphor used through other questions for the drawings. Phase 3: Further, we also analysed the retail outlets and other outlets through which the ice-cream was getting sold. 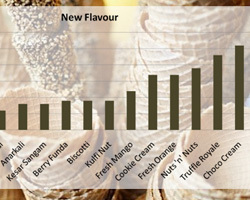 How the users chose the ice-creams of their choice and how. How they eat that ice-cream afterwards. Phase 4: We put together print advertisements of major ice cream brands and removed the logo or any identification mark, and asked users to guess which brand it belonged to. 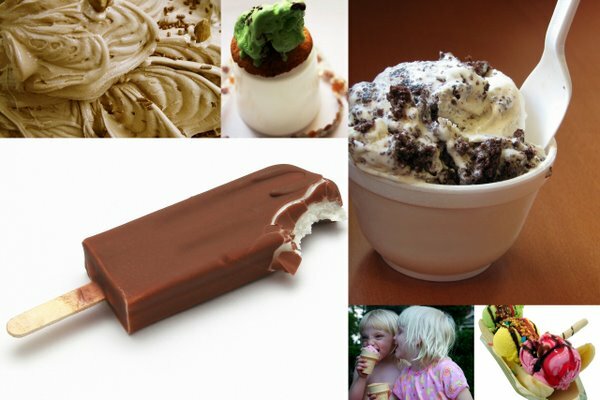 Ice-cream is a product that also touches the aspirations of the individual along with the taste buds. The flavor, brand, environment, serving style etc. helps a customer create a self image of self that he aspires to become. With the world open to them with opportunities, the youth wants to transform themselves and the world around themselves. Thus, ice-cream must match these expectations and aspirations of the youth. Our suggestions were to create a comfortable environment for the youth where they get some privacy along with playfulness away from the judging eyes. They like their ice-creams to look personalized and match the visuals they see in the media and outdoor advertisements. 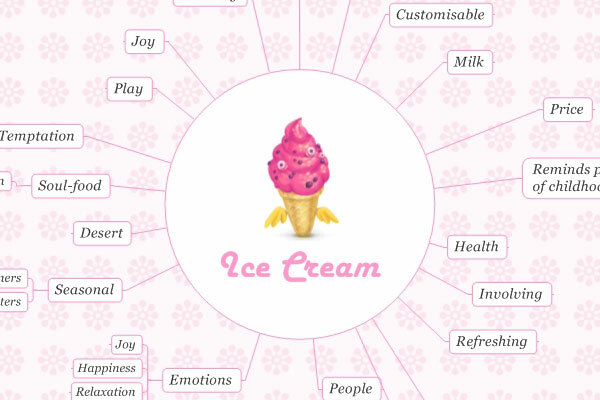 They want their individually customized ice-creams which are visually relishing. They trust the ice-cream brand and would stick to them if they improved their communication about their offering and created a more suitable environment for them. We developed systems and communications strategy for the brand which we would not be able to reveal right now due to privacy issues. These suggestions are now being implemented. Follwing are the detailed findings. Most of them have ice-cream bricks at home, which are of the same brand. They are bought as they are usually on offers and are more cost-effective. Such ice-creams might taste good but do not catch the fancy of the youth and if given a choice they would like to have individual sundaes with their friends. When asked what would they buy with Rs. 100, mostly the answer was a sundae. The names of the ice-creams were confusing for the consumer, as most of them did not convey what they were about. Only names which sounded aspirational or conveyed the flavor of the ice-cream clearly were popular. During our research when people drew ice-creams we noticed the use of colours and shapes. The drawing of the ice-cream itself conveyed how they picture ice-creams in their head, the serving style and the condiments they would ideally like to have on them. Further we realized the probable size of the sundaes preferred, whether enough for one or big enough to be shared. Youth also preferred sundaes as it can personalized, feels grand, luxurious. It gives a feeling of abundance. 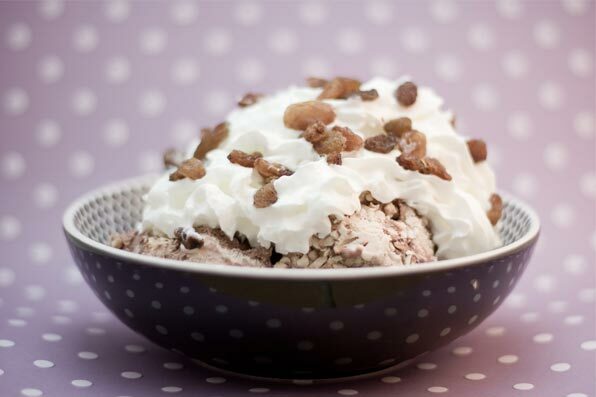 Youth also preferred sundaes as it can personalized, feels grand and luxurious to have on even on a small budget and is presented in an aspirational manner. At the parlour they were not getting enough privacy or a feel of youthfulness as much as they do at other parlours. Youth likes a place that’s away from the typical family bounds. They seek more privacy than the older lot of people. The parlour did not have tempting visuals of the sundaes or even reference images to help the customer make a choice. The advertisements carry large tempting visuals but at the point of decision those visuals are missing. The most obvious connection with ice-cream for this youth was to party and friends, which was exactly they could not be around with at the parlour. 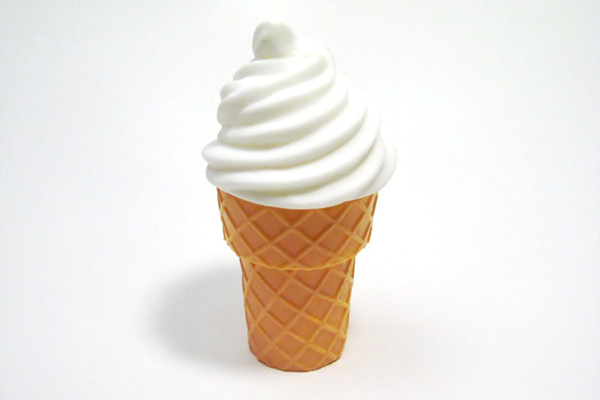 The colors most associated with ice-creams were brown, pink and white. Red, yellow and blue was the least relatable and these were the colors used in the visual identity of the ice-cream brand. The staff at the parlour was not well trained in weaving a discription of the ice-creams that were tempting for the consumer. *Name of the brand not disclosed due to privacy reasons. 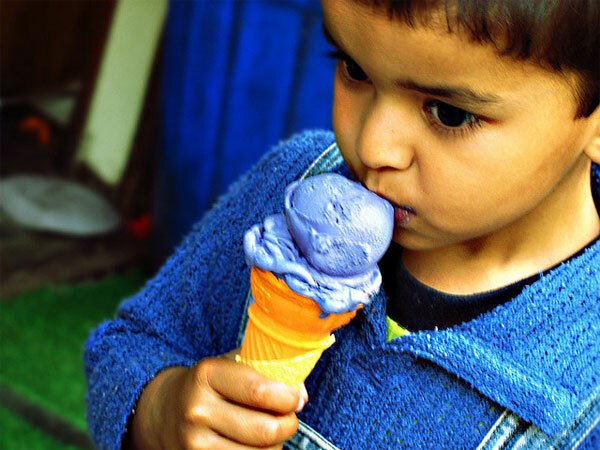 To understand the behaviour of people and youth in specific in relation to ice-creams. Ice-creams usually brings out the child in a person. Along with it, thereâ€™s a feeling of comfort and softness that the texture of the ice-cream brings.